Have you seen any of these? What do you think of them? Have not seen Michael or Bachelorette. As for the others I thought they all were entertaining, although I wasn’t as big of a fan of everyone else seems to be. If you liked Bridesmaids, I’d say Bachelorette is worth a watch. I might have liked it a little more than most because I enjoyed seeing Lizzy Caplan and Adam Scott on screen together, but it’s still pretty funny. Michael is a little harder to recommend because of its subject matter, even though it is a very well-made film. It was good fun indeed. Glad it made it to Netflix! I’ve not seen any of these. I don’t think that I could watch Michael, it looks incredibly bleak….Killer Joe is the first on my list though. Great post! Michael is VERY bleak and difficult to watch. Killer Joe is nuts but it’s also really entertaining. Hope you get to see that one soon! I’ve seen Headhunters on a couple top 10 lists. I think I’ll have to check it out. Nice review. Both of ’em were even better than I expected. Great picks! That’s a tough call, man. It’s immensely disturbing, but very well made. It’s on Netflix Instant if you ultimately do decide to give it a go. Glad you like Headhunters! I was very impressed with that one, I wish more thrillers are this well-crafted. I already like Nikolaj Coster-Waldau before this but I was also impressed by Aksel in the lead, somehow he made his character sympathetic despite his flaws. It managed to surprise me too, not many thrillers do these days. Yeah, that’s a great point about Aksel. I really did not like him at all in the beginning, but I grew to tolerate him more and more as the cat-and-mouse game escalated. I was also surprised by the ending, which I agree is a rarity these days. Yeah, especially regarding his wife. I was certain it was one thing but turned out to be another, very cool! Exactly! Not what I expected at all. 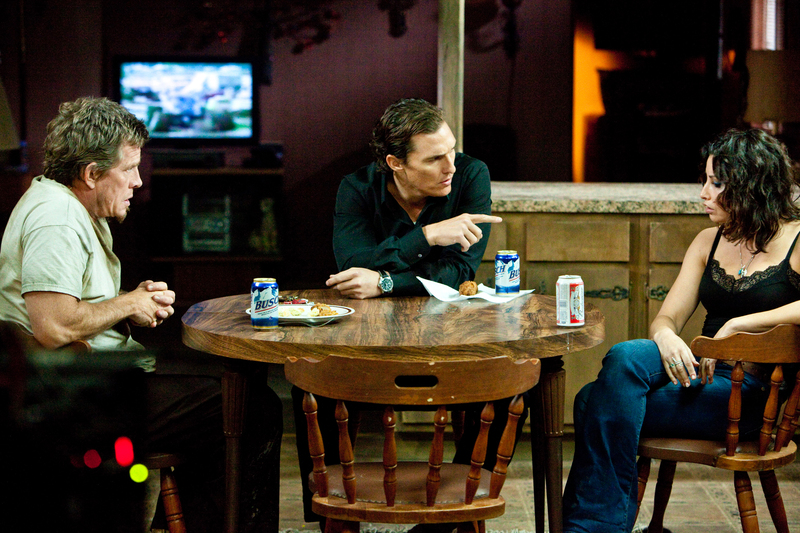 I didn’t really ‘get’ Killer Joe, but was definitely able to appreciate McConaughey’s performance in it. Oddly; I found it difficult to stomach at time, which is not normal for me – i’m Generation Y desensitised to most the most shocking cinema usually. Why? Couldn’t put my finger on it. Killer Joe is pretty messed up, and I can definitely see where you’re coming from. It was just so sleazy, and I can’t think of another film like it. The trailer trash setting feels like a whole different world, not one I would want to visit often. My writing partner has been raving about Headhunters. I really gotta check it out. It’s a good one, Dave. I think you’ll dig it. I didn’t like Premium Rush, in fact it was one of the worst films I’ve seen during last year but I really loved Killer Joe – The Paperboy, while not nearly as good, is entertaining and wild too and it also features McConaughey. 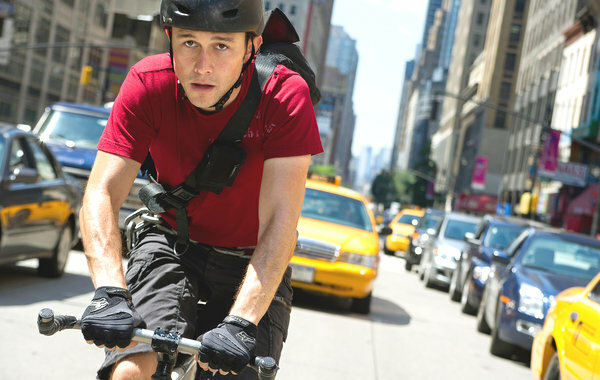 Yeah, a lot of people didn’t like Premium Rush. I can see why, but it hit the spot for me. I really want to see The Paperboy — I’ve heard a lot about some of its more, uh, interesting scenes. Great to see you caught up with Headhunters – it was one of the highlights from last year for me. Great cat and mouse thriller that has some fantastic, darkly comic moments. Yeah, I found myself cracking up quite a bit. Loved its blend of dark humor and action. Great movie! Eric, I’ll echo the other comments and say that it’s great that you were able to see Headhunters, which is awesome. It was my #3 movie of 2011 and one of my favorite experiences in the theater. I saw it totally randomly at the St. Louis film fest and think it’s one of the best thrillers of the past few years. 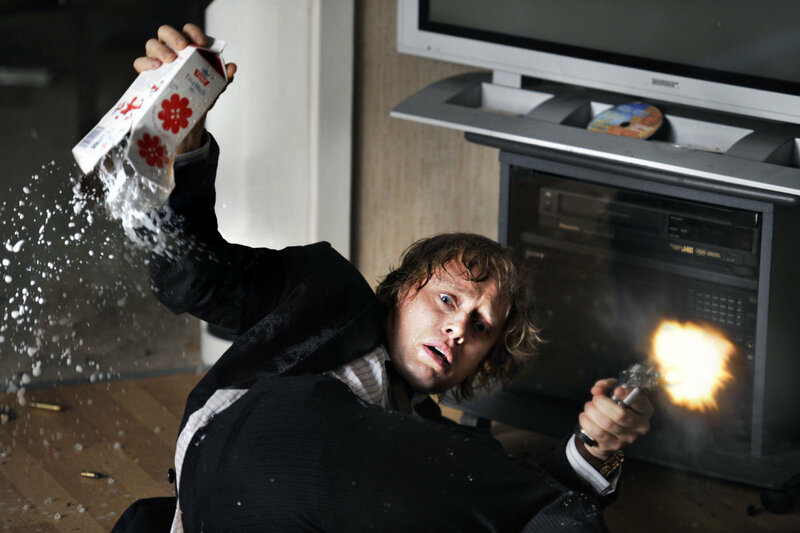 Headhunters on the big screen seems like it would be a blast, especially if you saw it by chance. I loved that the film wasn’t too long — it kept everything quick and to the point, and I think it was all the better because of this. I agree about the brisk pace. I seriously knew nothing about it and picked it from the movies available at a certain time. I was stunned by how good it is and was on the edge of my seat once it got rolling. I kept looking for Joe R. Lansdale’s name to pop up somewhere in the credits of ‘Killer Joe’. It has his dusty, middle of nowhere, west Texas town’s fingerprints and feel all over it. McConaghey seems to have dipped his bucket back into the well of Bill Paxton’s ‘Frailty’. To add to Joe’s assured, laid back psychotic killer for hire. Hi Jack, Headhunters is good fun. Well worth seeing when you’re in the mood for a good thriller. It’s on Netflix Instant now, too, if you are a subscriber. I had to look up Joe R. Lansdale, but he sounds like someone I should start reading. Pretty diverse resume! Loved McConaughey’s performance in Killer Joe. A lot of people have been praising his roles in Bernie and Magic Mike — and rightfully so — but I think this was his best of the year. I have seen both Bachelorette and Premium Rush out of this bunch and they were both very passable and enjoyable movies. I do not think Kristen Dunst was miscast though, in fact, I think she was close to the best about the film. I plan to watch Killer Joe in the coming weeks after so many positive reviews. I hope you end up writing about Killer Joe, Niels. Would love to hear your thoughts on that one! Very glad to see that you enjoyed Headhunters. It’s a fun film. Love the sense of humor in it. Killer Joe is so very twisted. I think I physically squirmed in my seat while watching. It’s that sort of film I’m glad I saw, appreciated and all. But don’t think I’ll be wanting to see it again. Heh, yeah I can understand where you’re coming from with Killer Joe. “Twisted” is a good word to describe it — it’s not something I will be forgetting anytime soon! Bachelorette has potential, I liked the first half, but the second half ruined the film for me. Glad you liked Killer Joe though! I can see how Bachelorette would rub some people the wrong way, but it hit the spot for me. As for Killer Joe, well, that’s something I’m still thinking about. Crazy film. I’ll never look at Fried Chicken the same way again haha. Headhunters, yay! It sure was a good thriller, and as someone else said earlier, it really put some twists to the story and characters get deeper (and more likeable, regarding Aksel). I also enjoyed Killer Joe, saw it last week. Matthew McConaughey sure is a mixed bag, some movies are quite so-so, some are like this, where he really IS a pure psychopath! Have to second you on not wanting to visit this trailer environ if I can avoid it. Great movies as always man!! Glad to hear you enjoyed both of those films as well, man. It’s so great to see McConaughey put together a bit of a resurgence lately — he nailed every film he was in last year. Hell of a way to make a comeback after so many dull rom-coms.